The Apple media event today saw changes in the operating system for iPhone, i.e. the iOS where the Apple iOS 4.1 was released, and apart from that, the major news was the changes in everything related to the iPods. The designs of the iPod has totally changed, and every generation of iPod has got a new design, starting from the shuffle to the Nano. The new iPod shuffle has got buttons + voiceover + shuffle bundled in the single device, rather than what we used to use separately in different generations. Its small as always, easy to use with the buttons, and has the playlists to manage, and the genius mixes enters the shuffle now, voiceover and 15 hours of music play. 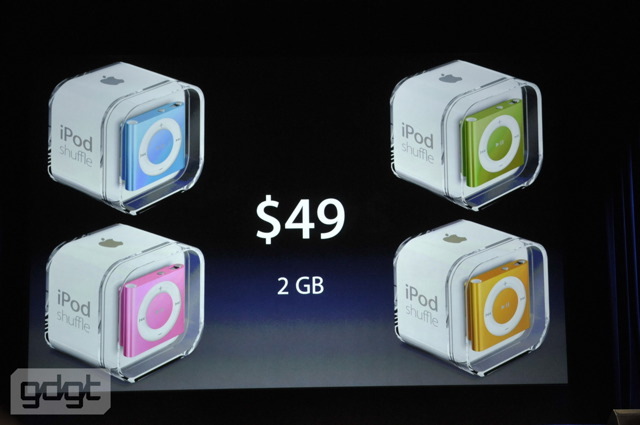 The iPod shuffle comes in 5 colors and just for $49 with a storage of 2GB. The iPod nano is changed totally. Has got the clickwheel removed, and has got multi-touch and the size has got reduced by 46% than earlier, and the iPod is 42% lighter than the previous one. It has clip and no armbands, there are volume buttons, FM transmitter, pedometer, and it comes with access into 29 languages. It has 24 hours of music playback time. The built-in FM radio transmitter, photo view section, clock and lots of them. Its become a tiny piece of all the entertainment and touchscreen works perfectly with the options just like you see on the other iOS based devices, like iPod touch. Rotate the fingers on the screen, and the screen rotates totally in accordance to your fingers movement. 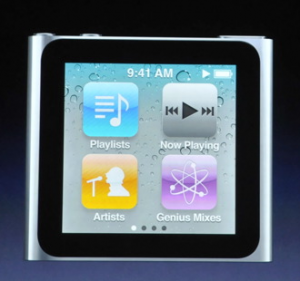 The iPod nano comes in 7 colors instead of the previous 5, the new ones being graphite and a red version. The 8GB version comes for $149 and the 16GB version comes for $179. The iPod touch was the #1 game playing portal in the whole world, and it outnumbered Sony and Nintendo gaming devices combined. Its got 50+% of game and entertainment downloads of the entire count. It has got thinner, and the Retina Display has entered the touch, with 4x pixels display and 24-bit color. 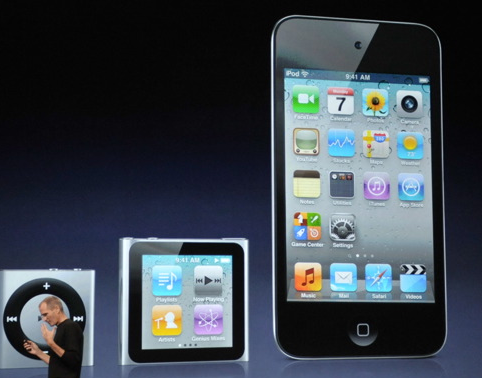 It has now got the Apple A4 chip, which was seen in the iPhone, and the iPod touch comes with the new iOS 4.1 with game center. Facetime (video conferencing which we saw in iPhone) with the front camera. There are 2 cameras, the rear camera having the capacity to record HD videos and they can be edited right on the iPod touch. 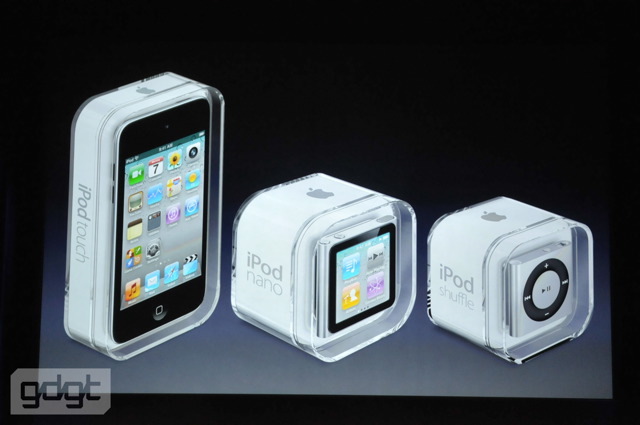 The pre-orders for all the new iPod devices start today, and they would be out in the market next week. I LOVE my IPod shuffle 6th Generation!!! It’s awesome.